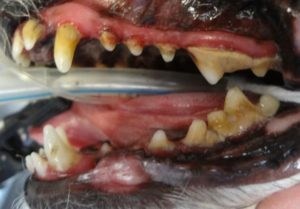 Untreated or ineffectively treated dental disease can rob your pet of years of quality life. That’s why it is so important that your pet receives regular, high quality dental care. 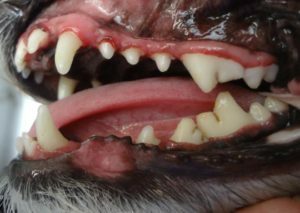 We offer many preventative dental products over the counter such as pet tooth brushes, toothpaste, dental rinses and dental chew treats designed to break down tartar. These products may help prolong the time in between necessary dental cleanings. Union Veterinary Clinic performs dental cleanings and tooth extractions Monday – Thursday. This service can be scheduled by our front desk staff. A non-refundable deposit is required to reserve a dental appointment that will go toward your pet’s dental the day it is scheduled. If you need to reschedule, please call at least two business days in advance prior to your pet’s dental and your deposit will go toward your dental at the rescheduled date. Schedule your dental surgery in advance to receive the day of the week you desire as availability is limited and usually booked approximately a month and a half into the future. Dental cleanings are anesthetized procedures and all pets must be fasted since 8pm the night before. (Water is fine, however) Older pets are required to have blood work done a week or so before this procedure to ensure that anesthesia is a safe option for them and to allow enough time to cancel or reschedule their appointment if needed. If your pet needs a dental sooner than we were able to schedule, please ask the front desk to add you to our Dental Waiting List. If anyone cancels prior to your scheduled appointment, we will call you to see if the sooner date works for you. You can call us about our wait list at 202-544-2500. Our dental services include teeth cleaning and polishing, tooth extractions, x-rays and oral surgery. Ask your veterinarian during your annual exam to see if a routine dental cleaning is recommended for your pet. Please call our front desk staff if you have any questions or concerns about estimates, bloodwork, and scheduling. They will be happy to assist you.